A couple of days ago I posted up about a great short film done by the same people who did American the Bill Hicks Story. This time they need your help. 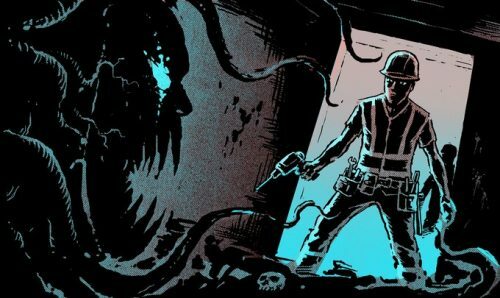 They have started a kickstarter project to make a supernatural short film. They have already got some great people, and companies, onboard but they need some help to get the film up and running. What if the council road crews you see every day causing traffic jams… were not what you thought? 16 year old Alex is a troubled kid, excluded from school for fighting and for his weird drawings, evidence to some of a disturbed mind. To keep him out of juvenile detention, he is forced into doing a boring work placement with his loser Uncle Brian who works for the council. 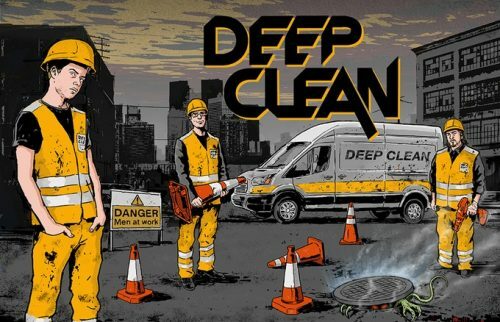 What he doesn’t know is that Deep Clean is a secret council unit whose job is…blocking up demon portals. Imagine a horror film, but set in a world created by Mike Leigh or Ken Loach. There is a ton of information on their Kickstarter page. They have some amazing people who are helping bring this story to life. From GCI companies that have worked on Ghost in the Shell to the people who did the practical effects for High Rise. Great companies who are working for little, or no, money to bring this dream to life.